This entry was posted in weeds and tagged adam in eden, albert camus, samuel beckett, william coles by Mary Gray. Bookmark the permalink. Right. And I’ll bet old William Coles had himself a bunch of gardeners to do his weeding for him. 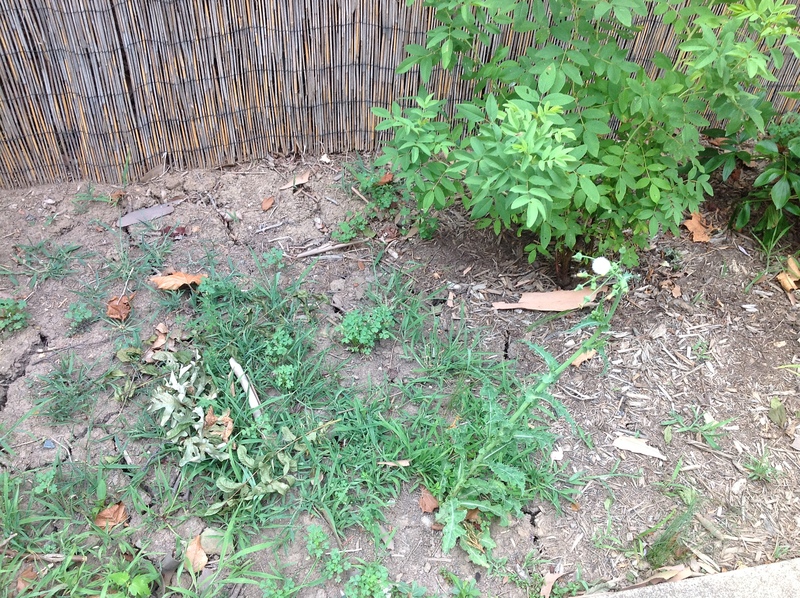 It’s so hot and dry here that even the weeds are dying. 355 years of weeding, who’s winning. Well, all I can say is that I must have a pretty firey spirit! I don’t think Camus would weed his own garden, or have an opinion on weeding, even. I think he would sneak into his neighbor’s garden when no one was around, and then just rip out a choice plant just to see what it felt like. Hmmm, I’ve actually never read anything by Camus, so if you are referencing something he wrote I must claim ignorance. One of my skills is pretending to be smarter than I actually am. Then at least you are good at it, which most people are not. Having spent the ages 17 to 29ish being very deep and misunderstood, the existentialists were unavoidable. I think The Stranger is perfect for a little light beach reading for you this summer. But if you don’t get to it, Gide said it best: there are few things in life that I would have over…but since I cannot, why bother? This does not apply to eating durian.